Does your culture support telling the truth? Another fantastic post from guest blogger, Bill Fox. What I learned about thought leadership and culture from a volcano. Days before I left for the island of Maui this past summer, Dr. Liz Alexander asked if I would consider writing a guest post about thought leadership for her new blog. Since her writing and thought leadership have greatly impacted me, I was delighted and honored by her invitation. Yet I never could have imagined how this business trip would impact what I’d write. I was on this trip with fellow consultant and private pilot Hillel Glazer. When we travel together, Hillel and I look for opportunities to explore the area by air. 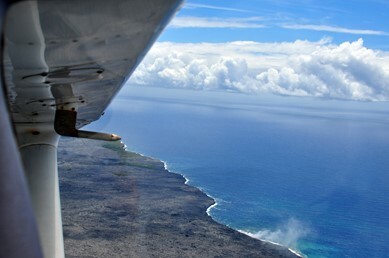 On this trip, we decided to fly from Maui to the island of Hawaii to overfly a volcano. I’ve since realized that volcanoes and thought leaders have a lot in common. Unfortunately, I find that what’s passed off as thought leadership is, more often than not, a slight variation on what everyone else is saying. Most “thought leaders” are simply piling on to the favorite flavor of the month. Is this because we don’t agree on what thought leadership truly is? Or is something deeper going on? Thought leadership is the willingness to go one way when most people are going the other. Does your culture support that? I believe many “leaders” aren’t willing to go the other way because their culture doesn’t support speaking their truth. They’re unwilling to speak their truth because they are afraid of the consequences. True thought leadership is a lot like a volcano. How many volcanoes have you seen? A volcano is a distinctive feature that stands out clearly from the surrounding landscape. There’s no mistaking a volcano for something else. Most of what I see being passed off as thought leadership doesn’t stand out like a volcano at all. It barely makes a ripple in the deep abyss of information that’s available to us. Is what you’re calling thought leadership distinctive? Is it easily distinguishable from everything else? A volcano creates something visibly new and changes the landscape. When a volcano erupts, a new creation is brought forth. Lava flows. It flows seemingly naturally and effortlessly. In the case of our trip, we could visibly see new land springing forth in paradise. When people can freely express their truth, it flows naturally and effortlessly. And it has enormous power to create something new. Is your thought leadership creating something fresh and new? Will it change the landscape of your organization or the world? Or is it more of the same? A volcano doesn’t worry about what others think. Let’s face the facts: Volcanos erupt, and there’s not much we can do about it. A volcano doesn’t care what others think. Nothing stands in its way for very long. True thought leadership must be willing to be expressed even when important values, practices, beliefs, etc., might be challenged. Do you say what you believe, even if it calls into question important values, principles or beliefs? Or do you hold back because of what others might think? A volcano is supported by a powerful but unseen structure. People commonly view a volcano as a tapering mountain, spewing lava and poisonous gases from a crater that’s bubbling with molten lava. But, underneath and unseen is a much more complex and powerful structure. A structure exists that forms and directs hot molten lava under enormous pressure towards the surface. Your culture is a powerful but unseen structure too — an unseen but very powerful structure of beliefs, convictions and traditions that forms the foundation of your organization. Are you recognizing the powerful role of culture in your organization? Are you nurturing and shaping the culture to support your organization’s mission? Passion and purpose fuel your culture just like lava and powerful forces fuel a volcano. Hawaiian mythology tells of Pele, the goddess of fire, lightning, wind, and volcanoes. Pele is known for her creative power, passion, purpose and profound love. Does your culture reward creative power, passion, purpose and profound love? Does your culture allow—or, better yet, encourage—people to express these same qualities? Does your culture allow your people to speak their own truth? A culture that allows people to speak their truth enables more than just true thought leadership. A culture where everyone can speak their truth allows collaboration and co-creation to flourish at all levels. This creates an atmosphere and environment where everyone can engage more fully to contribute their own unique passion, creativity and intellect. Isn’t this what we ALL want anyway? How about you? Are you able to speak your truth? Do you fear speaking your truth? If so, what would it take to change that? And what sort of true thought leadership would flow through you if you did speak your truth? I’m looking forward to hearing anything that comes up for you after reading this post. This improbable flight to a volcano was made possible by amazing friends and co-creators. I’m so grateful for their contributions. First, Dr. Liz Alexander planted the seed that inspired me to share my thinking about thought leadership and catalyzed an adventure. On the way to Maui, Sue Elliott, Editor-in-Chief of Law of Attraction Magazine, coached me in her Magical Transformation Intensive the day before the flight. She also contributed her superb editing skills to this post. 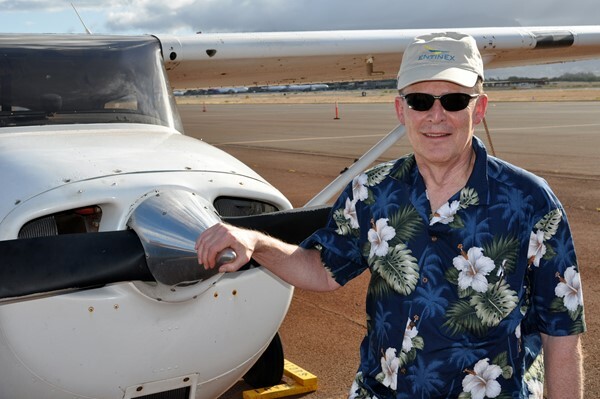 Then fellow consultant Hillel Glazer, CEO of Entinex, Inc., flew us safely through several challenging weather systems and cloud formations on the way to the volcano. Along the way we faced several moments of truth. Those moments of truth and related discussions informed this post. Next, my web strategy and content advisor Crystal Street, Visual Storyteller, reminded me (gently) how to write with impact. And finally, Paul McMahon, Principal at PEM Systems, and Jeff Helman, Transformational Linchpin at AEGIS.net, both encouraged me to deepen the conversation. How does it get any better than this? Bill is leading a conversation to catalyze people and organizations to be more conscious, collaborative, and co-creative. He collaborates with industry experts on the best strategies to improve organizations at 5minutespisuccess.com. Taking a higher perspective on this work has led to the creation of Higher Perspectives to Transform You and Your Workplace at billfoxstrategies.com. He shares his passion for flying and a higher perspective at foxhighperspective.com. 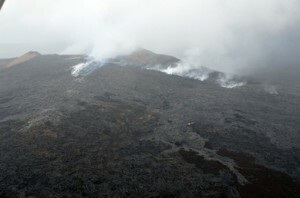 View more pictures from the flight by selecting Recent -> Hawaii Volcano from the menu. Bill’s work is supported by the visionary management team at AEGIS.net where he can speak his truth. Start-Ups Fail. But Not Why You Think. Do Software Companies Need a COO?